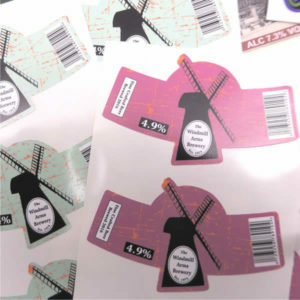 At Sticky Labels, we take great pride in the quality of all the labels we produce but none more so than our any-shape custom vinyl stickers. Because our custom vinyl labels are contour cut, they can be any shape you like. Most labels will be in a predetermined shape. Typically, our own labels are either square, rectangular, circular or oval. 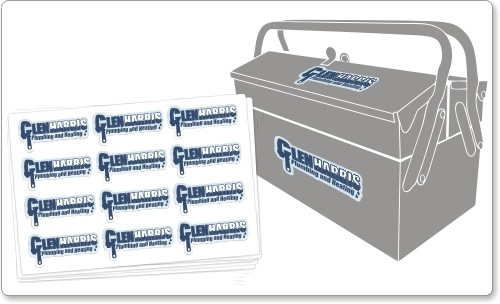 Because we have designated machines that cut the labels out, you can specify exactly how you would like them. These can be incredibly useful for a whole host of applications and it means that your labels will be totally unique. In terms of colour, we can offer the full palette as they are digitally-printed to exacting specifications. If you prefer black and white, that is fine but if you’d like something more eye-catching then the only limit is the design you provide us! Knowing that the shape and colour is literally whatever you want it to be means you can have stickers that no one else can replicate or reproduce and unless you order the same again, no one will any labels that are exactly the same as yours. We understand that you may wish to try a sample of labels or want to have a short run of labels for testers, simply as a limited promotion or as an exclusive range. That’s why we can print from 2 to 200,000 if that is what you need! All you’ll need is to provide the basic label design and the information so we know exactly what you’d like. Because you can order in small quantities, you may wish to spread the payment and get a small amount printed as and when you need them, instead of a large number that may take up space and get used slowly. 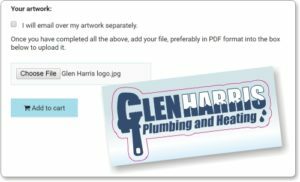 Our system is really easy: You simply let us know how many custom vinyl stickers you would like, what shape you’d like them and then you upload a .pdf file with your design. We can take care of the rest. We’ll provide a quotation before we print and we can even proof the copy before we commit to printing. Most home printers won’t actually print on vinyl and the custom cutting process is very specialised. That’s what makes these stickers so awesome. You simply need to create your design and leave the difficult part to us! We are confident when we say that we have the lowest online prices for custom vinyl printing. We took time to research the costs and work on a narrow margin to make sure you get the best quality and the best service at the best price. 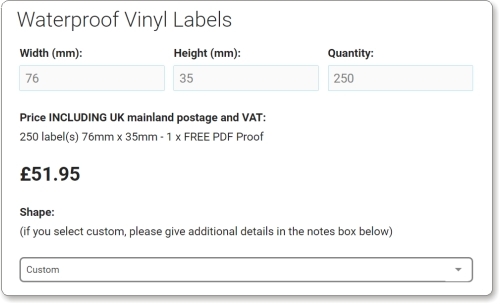 Unlike our other labels which we can print and dispatch in 2 working days, we always say to allow a 4 day print time for the custom vinyl as the labels get cut out individually and this takes a longer time to process. We’re still confident that we can have them to you fast and they will be outstanding quality but do factor in the additional time that these specialised labels need. One thing that vinyl labels are famed for is just how durable they are. Being vinyl and printed with colour-fast processes mean they work in harsh environments and are completely waterproof. The range of applications for these labels is endless and you will have seen them just about everywhere: From shop signs to car window stickers to vending machines. They are literally everywhere! 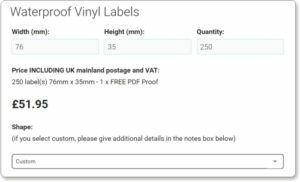 Vinyl labels retain their colour for years, even in UV light, wet conditions and surroundings that most labels would be instantly destroyed in. So not only are you creating unique stickers but you can take comfort knowing that that will retain their colour, shape and adhesive bond for potentially year and years to come!